Creating Life in Colour: Woah Nelly!! I've been looking for an embossing Dymo machine for AGES!!! 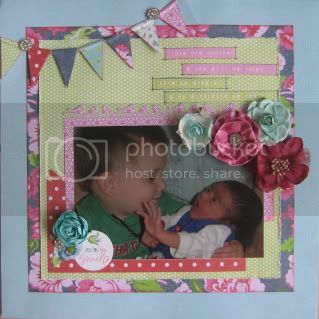 Finally there is a scrap store in Australia that stocks them - Scrapboutique!!! 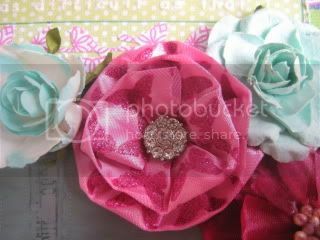 Chels is amazing - her shop is just unreal and the forum is so fun and encouraging. You should really check it out!!! 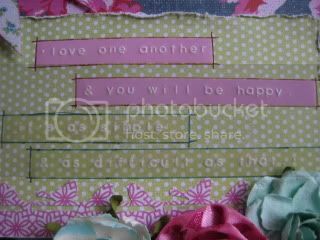 The quote i've used is for the Scrapbooking From Scratch August quote challenge - isn't it a good one? 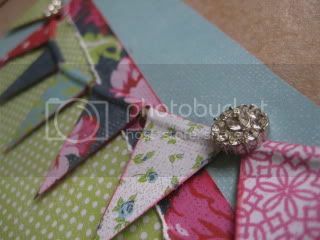 The cute birdie border is a Martha Stewart punch - isn't it adorable!! How gorgeous is this pink flower? You wouldn't believe it, but i actually made it myself!!! I've used some stash ribbon (i think this actually came with a present!!!) and a Cosmo Cricket 'Glubber'. Spiced it up with a Delish brad and it looks GORGEOUS!!! I've had these grubbers for a while, but haven't had a chance to use them yet. Now i've got a little girl to scrap for you'll be seeing much more of them!!! I've mixed this flower with an old Prima flower and some Kaisercraft flowers - it's nice to be finally using up some of the flowers i have in my stash!! what a stunning flower kylie! 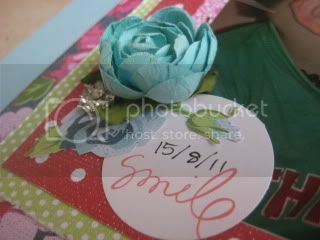 Beautiful layout....love your hand made flower, very pretty.